Sphero, the robotic ball that can be controlled with your Android device, is available today as Amazon’s Goldbox deal for $84.99, which is $45 cheaper than you will typically find it. The Sphero is one of those products we’ve often considered picking up, as we see their team at every trade show and often find it to be a cool toy, however, we could never justify the $130 price tag that was attached to a ball that’s mostly a niche product. But hey, drop 35% off the price, and we’re down. 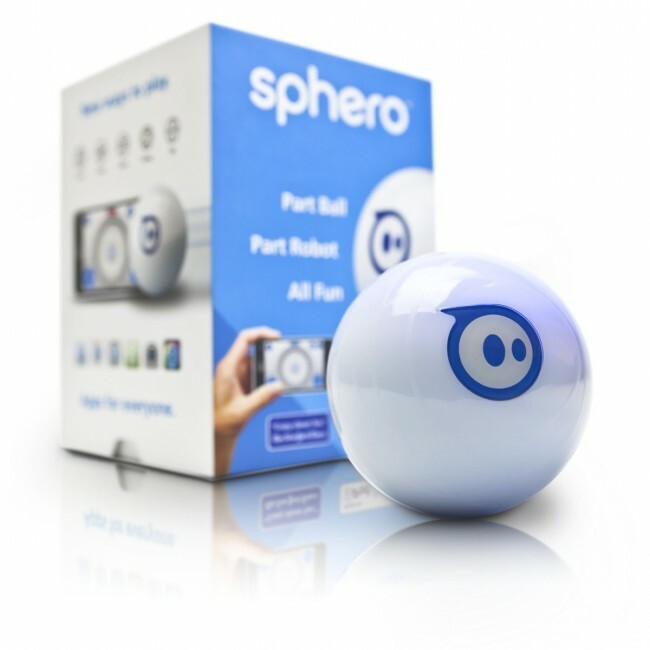 For those not familiar, Sphero is a waterproof, light-filled robotic ball that pairs with an Android or iOS device. Once paired, you can drive the ball around remotely, play a number of games that have been created for it (including some that use augmented reality), set up obstacle courses, etc. It really is a pretty cool product, but like I just said, the $130 price was always a bit of a turn-off. This $85 price may be the cheapest we see. And now my cats will forever hate me. To see a bunch of uses and promo vids for the Sphero, you may always want to hit up the Sphero YouTube channel.